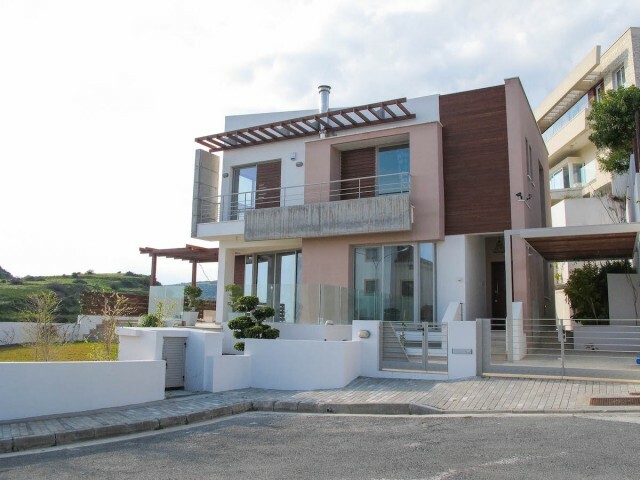 The villa is located in the most prestigious and sought after residential area of ​​Limassol. It is in close proximity to all local amenities, the beach St Raphael Marina, 5-star hotel, a short walk from the center of Limassol and the main highway.. The villa has a Certificate of Energy Efficiency. The system of lighting devices supported network technologies for smart homes and buildings (EIB). All lighting can be controlled via EIB system, which is able to control, synchronization and off l.. Luxury 3-bedroom villa with panoramic views of the Mediterranean Sea and the mountains in one of the best areas of Limassol. 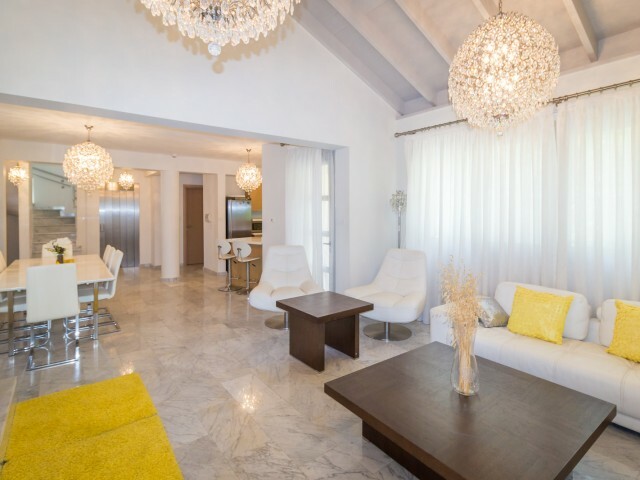 New villa in perfect condition, fully furnished. Around the perimeter of the video cameras. The villa is equipped with hea.. 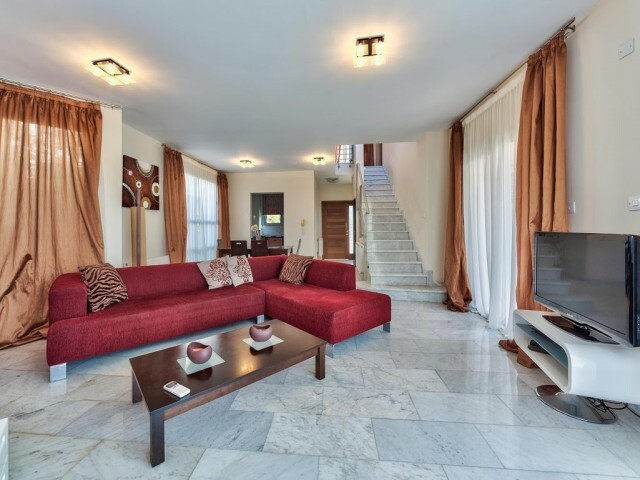 The three-level villa with four bedrooms located in Amathusia area, fully furnished. Land area 498 m², covered area of ​​the villa 280 m². The first level of the garage, games room, bedroom, shower, kitchen, laundry room, lounge and a sauna. On th..
Villa with 3 bedrooms in the complex, in a quiet area near the hotel Atlantica Bay and close to the hotel Elias Beach. Only 200 m from the sea. In walking distance to supermarket, restaurants, cafes, bus stop. In the complex: 2 swimming pools, sau..
Villa in Paphos with 3 bedrooms and 3 bathrooms, renovated. Spacious and separate kitchen. Central heating, running on diesel fuel. Pool heated by solar panels. Garage with automatic gate. Villa in excellent condition, well maintained. Quiet locat.. Exclusive villa, built with the finest materials and modern design. The villa is located on the hill with a breathtaking view of the city of Limassol and the Mediterranean Sea. The villa is designed in accordance with the latest modern architectur.. Luxury five bedroom villa in Limassol, 100 meters from the sea. Scenic panoramic views of the Mediterranean Sea and shining the ruins of the ancient settlement of Amathus in one of the finest real estate projects in Cyprus. Luxury villa with 3 bed.. Luxury villa with seven bedrooms with panoramic views. 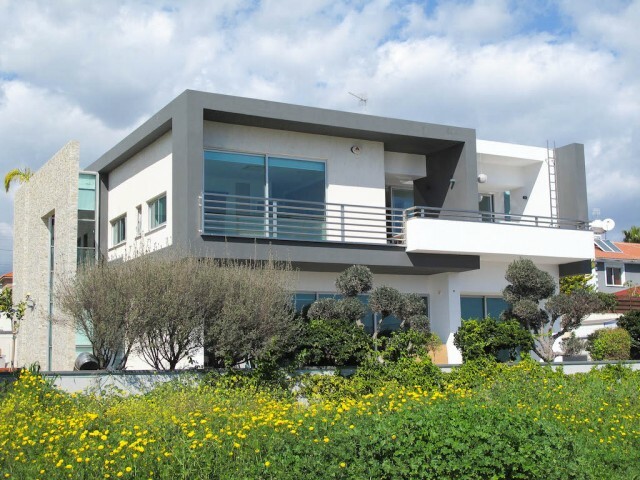 The villa is located in one of the most prestigious areas of Limassol. Secluded and quiet place, a dead-end area, next to the villa State Green Area where prohibited any construction. In the b..
Residence - luxury, style and modern design, while retaining all the functions of a residential facility, its philosophy and anticipates rethink your expectations. Located in one of the fastest growing residential areas of Limassol, the project El..